How was your summer? Outstanding, I hope. In May, I fished Northern Ontario 14 days in two trips. I mowed the lawn once. In June, I had Jeep failure and didn't fish at all. I picked a rash of blueberries. I mowed the lawn twice. Was a nasty pattern forming here? In July I fished Northern Ontario 12 days. I mowed the lawn once. In August I fished Northern Ontario for 15 glorious days. And I mowed the lawn only once. This month I’ll be back up for two weeks. I've already mowed the lawn. Ah, September. It's my favorite time of the year. 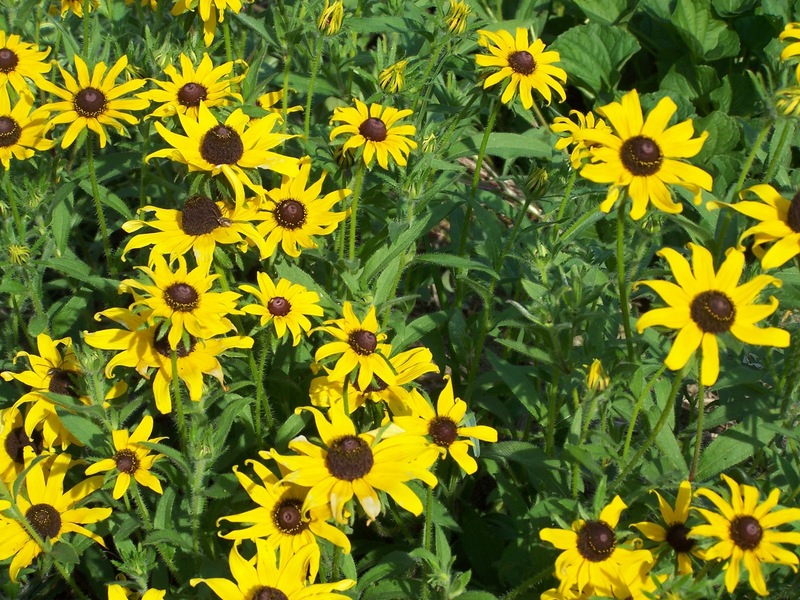 My flower garden has dulled to browns and just a few yellows from the lingering Black-eyed Susan. But the backyard along the creek bank is in full bloom with goldenrod and wild aster. Yellow and lavender grace the perimeter. The Shaggy Manes are popping up in the yard and I'm devouring them as fast as they dare show themselves. In September, as the yellow school bus once again winds its way down the road, I get the urge to get things around the house and yard completed and put away. As the autumnal equinox approaches here in the northern hemisphere, as the sun crosses the celestial equator and night and day become nearly the same length, I too feel the balance. There's something familiar and meaningful about September. It's the time of year I feel most intimate with others, myself, and the things around me. The frivolity of summer has ended and with September comes the urge to push my roots a little deeper. I feel warm friendship with those around me. I feel cozy in my surroundings. I'm less interested in declaring my desires, as I had all summer, and much more interested in discovering what my desires want of me. The intimacy of my September reflections and conversations brings me closer to others as those conversations and thoughts become more intellectual, spiritual and emotional. I'm enjoying those deeper connections. I hope you are too. Trust me, September is safe.